Because life's too short not to dare to be different. The summer season has been unofficially kicked off, and it’s time to look forward to all the best things: beach weekends, road trips, pool naps, BBQs, and the list goes on. Summertime? We’re here for you. As much as we love pretty much all things summer around here, we’re pretty partial to the ultimate warm weather frozen treat: ice cream. Given our love for a good ice cream cone, when a member of our bulldog family snapped a picture of this sign on his travels, we just had to share it… less as a dietary recommendation and more as, well, a philosophy. OK, let us get one thing straight right. about. now: we don’t actually think that eating ice cream — for breakfast or any other meal — makes you smarter. Or healthier or funnier or nicer or younger or anything else. But maybe we’re dealing with a chicken/egg situation here. 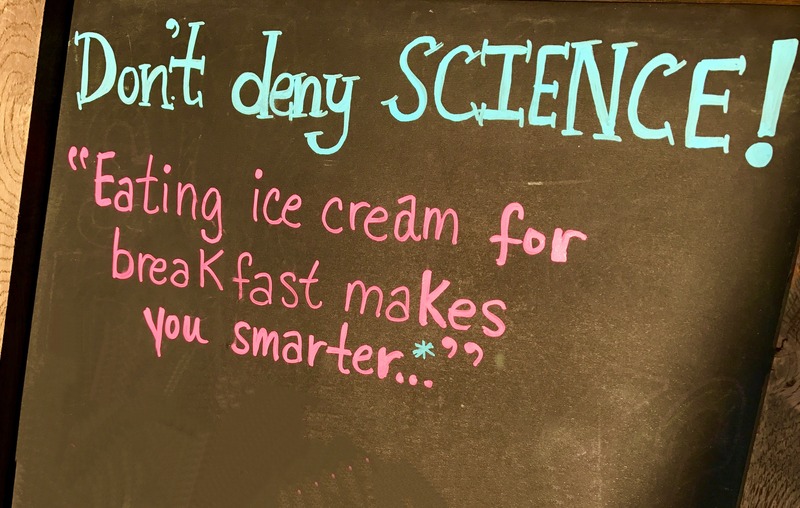 Maybe it’s not eating ice cream that makes someone smarter (because that’s obviously not real). Maybe it’s a smart attitude — and an open mind and sense of spontaneity and general YOLO approach — that makes you ready and willing to indulge in ice cream at the breakfast table in the first place! Not an ice cream fan? Swap out your favorite sweet treat and we think you’ll catch our drift. It takes a certain smartness to understand the value of enjoying life in your own unique way, even if doing so puts you outside the routine that’s been established as “normal” by most of the world. Doing something different? That’s what makes you smart. 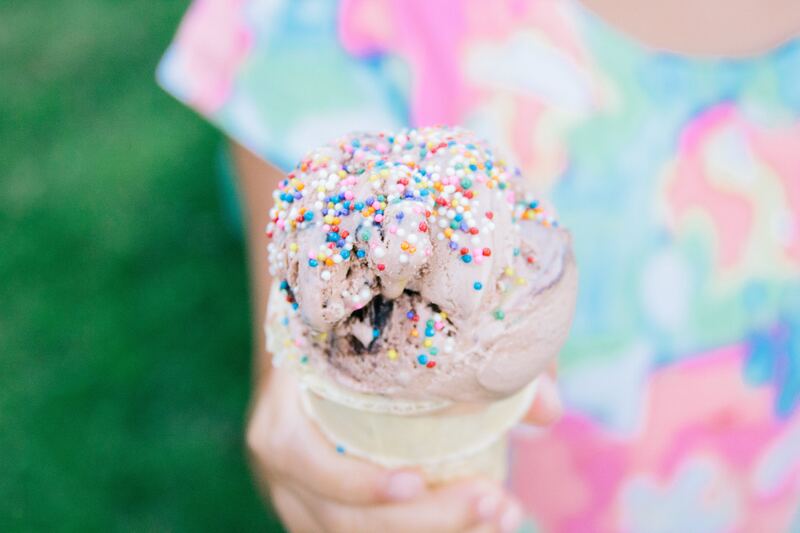 Luckily for us and our summertime cravings, eating ice cream for breakfast is definitely doing something different. Daring to be different (as cliché as the phrase is) gives you the courage to seek balance when others are too busy focusing on a rigid schedule — or a breakfast menu that’s the same every day — to see the benefit of making unique choices. It gives you the opportunity to be a natural leader instead of an unwilling follower. After all, people are going to want to be on your team when they see you eating ice cream for breakfast, especially if you’re willing to share some with them. It lets you take a good, long look at what you usually do to find out if it actually works. For example, maybe ice cream isn’t the ultimate (or healthiest) way to start your day, but giving it a try every once in a while might help you see that your usual overnight oats or egg whites aren’t quite doing the trick, either. It creates openings for special occasions in your life. When you’re receptive to shaking things up, it’s a lot easier to stage celebrations, big and small! Most importantly, perhaps, is the fact that doing something different — specifically, having ice cream for breakfast — is fun. Life would be pretty boring without a spontaneous indulgence here and there. So, go ahead. Eat ice cream for breakfast. Or do something else that feels equally luxurious… maybe even radical. Your readiness to break the routine? It definitely makes you smarter. What’s your favorite summer indulgence — edible or otherwise? Tell us more on Facebook + Twitter!